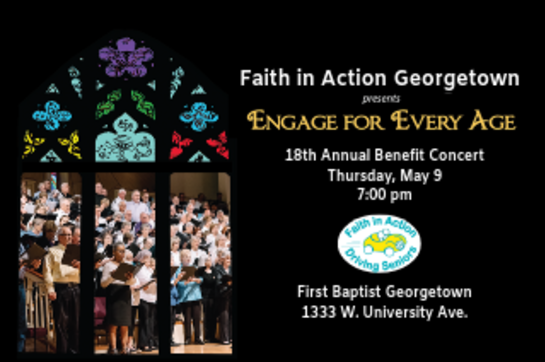 Our evening's theme is ""Engage for Every Age"", celebrating the diversity of ages of volunteers who help keep seniors connected to their community. Admission is free. 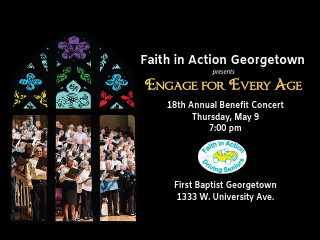 A special offering will be taken to fund FIAG transportation and other support services. New this year are luminaries lighting the way and a business card sponsor level.